No witty story or anecdote to share with you regarding this recipe today. Honestly, these bars don’t need one. They can stand up for themselves. You can tell from the pictures that they’re the kind of treat that will be hard to stop at one (or two…). The marriage of salty and sweet is something I can’t get enough of lately. Throw some gooey marshmallows in there and I’m swooning. These are probably one of my favorite (and easiest!) desserts I’ve made recently. It’s likely you have most of the ingredients in your pantry already; these are great to make when you need to use up a bunch of odds and ends. 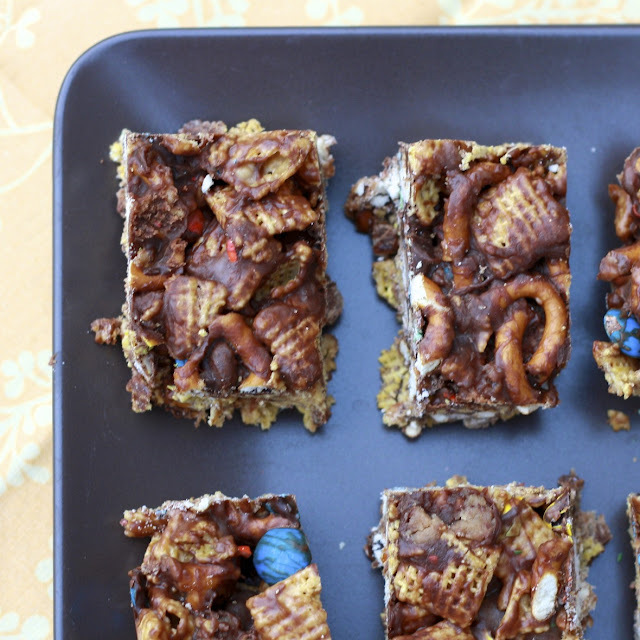 I’m already excited for the next time I have a few cups of chex cereal hanging out in my pantry and M&Ms in my freezer! 1. 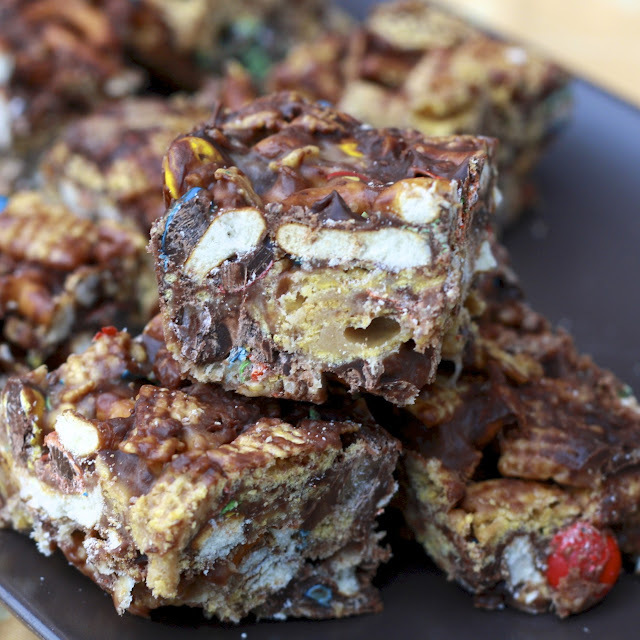 In a large bowl, combine pretzels, cereal, candy, and chocolate chips. Set aside. 2. In a large sauce pan, melt butter and peanut butter over low heat, stirring until smooth. Stir in marshmallows and continue to cook over low heat, stirring occasionally, until marshmallows are melted. Pour over the snack mixture and stir to coat well. 3. 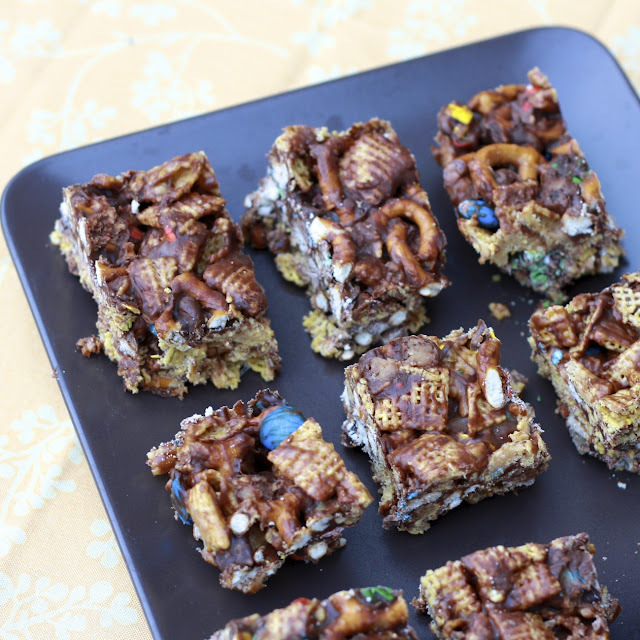 Press mixture evenly into a 9x13 pan lined with wax or parchment paper. Cover and refrigerate until cool. Once cool, cut into bars and serve.